CC and her friends enjoy rides at the Santa Monica Pier. Happy (almost) New Year! 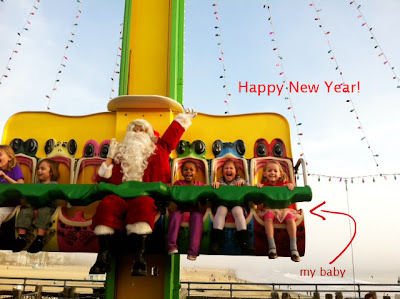 Hope everyone had a wonderful 2011. This has definitely been the year of adventure. CC and I discovered new places -- check out these fun, kid-friendly spaces here, here and here -- and look forward to visiting many more in 2012. In fact, we've already got some amazing plans for the coming months. Hint? 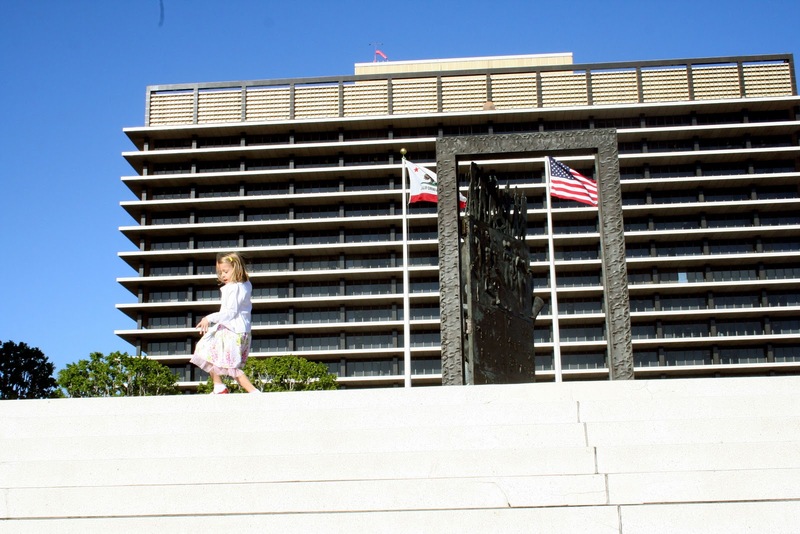 It involves a Los Angeles sister city! Stay tuned, and in the meantime, have a wonderfully happy and successful New Year! CC dives into the ball pit at Ikea. The day after Christmas, Ian and I decided to go shopping for a new chest of drawers and kitchen island at Ikea. That idea might sound infinitely crazy on several counts: One of the biggest shopping days of the year. Ikea is huge. And will CC try to lose us in one of the faux living rooms? But the day was great. We didn't find a chest of drawers for CC's room, but we did find a great island -- all while CC was happily playing in the supervised (and complimentary!) play space for kids. Not all Ikeas have them, as far as I know, but the one in Carson does, and it's fabulous. Ikea staff watches your child for an hour, free of charge, while you shop. They have the ball pit, toy kitchens and shops, and a small TV with a sitting area. We've been several times, and CC loves it. In fact, she asks to go. We also grabbed some eats at the Ikea bistro before we left -- and that day, kids' meals were also free. P.S. I know the picture is blurry, but it totally captures CC's intense love for ball pits. CC swings at Scooter's Jungle. In addition to Christmas and CC's big 0-5, December also has been the month of preschool birthdays. I love these opportunities to check out new party spots around Los Angeles. One of her friends celebrated his 4th birthday at Scooter's Jungle, an indoor play space in El Segundo. 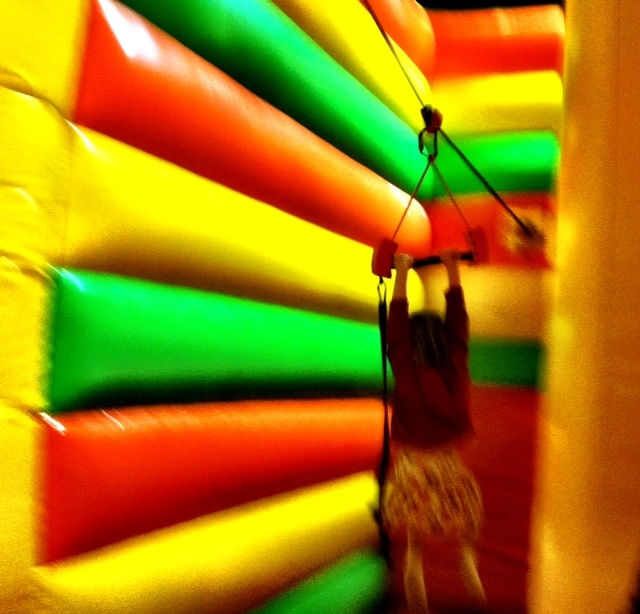 Fit for any energetic little monkey, this tropical-themed adventure land is stocked with tall climb-ables, bounce houses, a zip line, tall inflatable slides, air-hockey stations and little scooters, of course. CC loved it. (And I loved how much she wore herself out -- perfect for a smooth bedtime.) In fact, a few of the other parents and I loved it so much, we met up the next week for a play date during Scooter's open play time. Both times we visited, CC gravitated toward the zip line. CC zooms down the zip line. The "ride" was thrilling and apparently addictive for little people. Each time CC hit the soft, inflatable wall at the other side of the line, she dropped down, ran back to the beginning and leaped on the bar again and again. She also rocked the huge slide, although she wanted me to go down with her the first time. And it was tall for me! After that, though, she was done with parental accompaniment and rode solo the rest of the time. One of the inflatable slides at Scooter's Jungle. I would definitely recommend Scooter's for a birthday party -- there's a separate room for pizza and cake -- or for open play ($7 per child). Especially if you're eager for your child to get a good night's rest that night. Have a very Merry Christmas! Thank you so much for reading my blog. It really means a lot. This is our tree via Instagram. I love how the photo looks as if it's 1972. Oh, and parents! I just discovered this site, Capture the Magic, (hat tip: Cup of Jo) which puts Santa right in your living room. :) Enjoy! Making angel cards at "The Possibility Shop"
Flying angel cards, featuring your little angel? 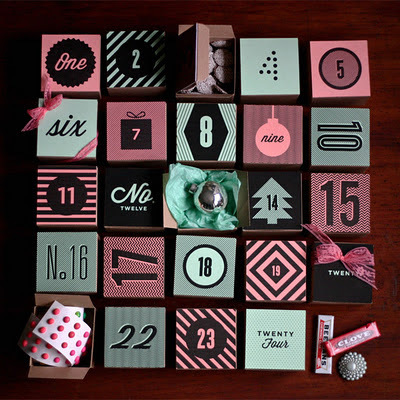 What a great idea for the holidays -- especially for the Christmas tree! Check out this short webisode of "The Possibility Shop" from DisneyFamily.com for instructions on how to make this simple craft with your kids. Click here for the how-to. Enjoy! I have two new parent-friendly stories posted at other outlets that I wanted to share. 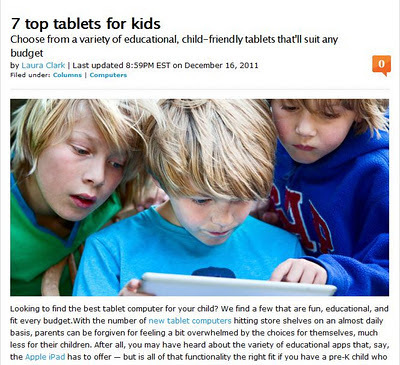 The first, "7 Top Tablets for Kids" at Tecca.com, gives moms and dads a rundown of child-friendly tablet computers from a parent's perspective. The second, "Last Minute Holiday Deals for Kids" at Culver City Patch, shares a few discounted items at stores around the West LA city. 1. CC asked for this specifically. This J. 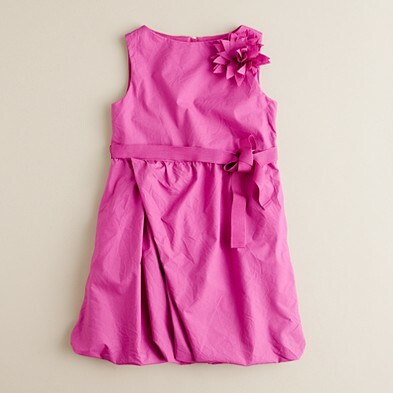 Crew poplin party dress is adorable and on sale. It's now $44.99, down from $69.50. 2. 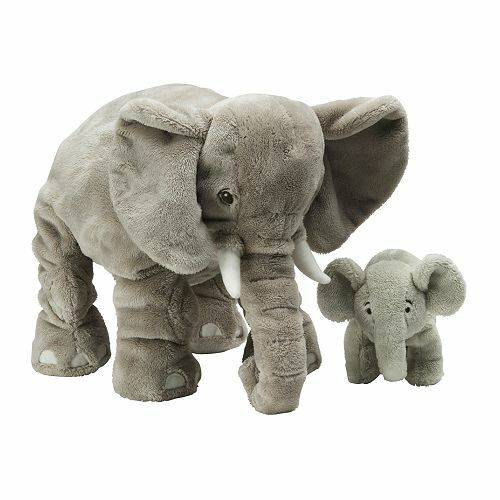 Great for boys and girls, these soft toys from Ikea also help support quality education for kids all over the globe. For every soft-toy purchase ($9.99-$14.99), Ikea will donate $1 to UNICEF or Save the Children to support children in need. 3. This activity book from Kimmel Kids ($22) is wonderful for little imaginations -- and moments during the holiday break when kids (and parents!) are searching for fun things to do. It's a coloring book, a book of punch-out shapes and offers 12 templates for creative exploration. 4. Ian has been big on showing CC old-school TV shows and cartoons. I would love to show CC the episode from "I Love Lucy," when she and Ethel take jobs as candy wrappers and end up stuffing their cheeks with chocolates. 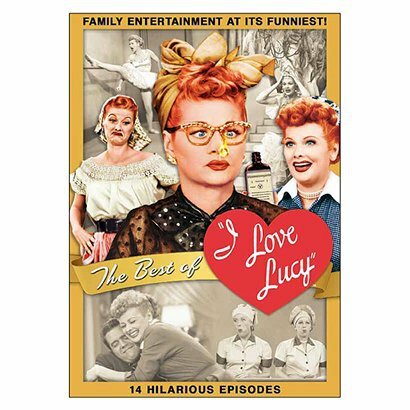 "The Best of 'I Love Lucy'" DVD has that episode, along with 13 others, and is on sale for $9.99 at Target. 5. Your son asked you for a guitar this Christmas? 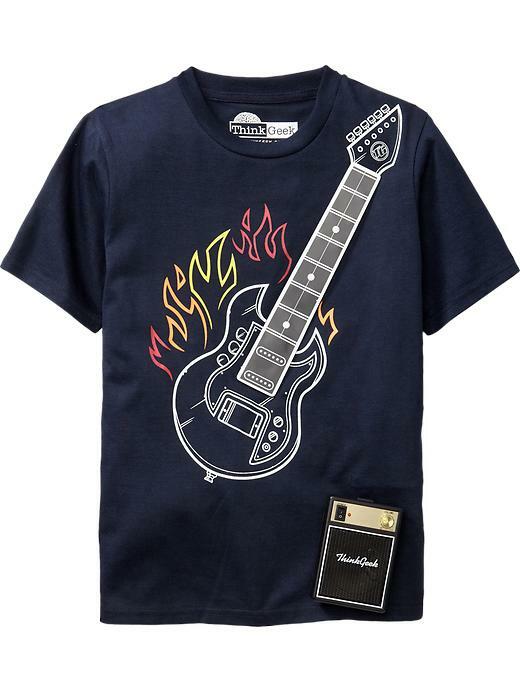 This T-shirt from ThinkGeek sports a working electronic guitar on its front. So cool! Pick one up at Old Navy for $24.94. Who knew that the life of a famous female scientist could be turned into a clever, kid-friendly musical that brings out the laughs in children as well as adults? That's exactly what the acting troupe Story Pirates did with their play "Brilliance!" at the Geffen Playhouse. CC and I caught the final show a week ago Saturday and had a wonderful time learning about two-time Nobel Prize winner Marie Curie and her radioactive discoveries. Set to music from a single keyboard, the play told a pared-down version of Curie's life and the challenges of being a brilliant woman in the company of men. Played for humor and silliness -- with a large dose of fun audience interaction -- Curie's efforts in the scientific world took center stage. It was great listening to the audience boo the grumpy old men of the Academy of Sciences, which ultimately refused Curie's membership into its established community. CC and I also had fun watching musical numbers -- complete with feather boas -- about Curie's life and love of science. After the show, which lasted about an hour, we headed into the lobby and picked up a complimentary snack and drink for CC. She also had the opportunity to meet the cast and take pictures. I was chatting with Zoe Jarman (pictured at top), who starred as Marie Curie. We were both chatting about how important it is for girls to be encouraged in the math and sciences. And then it occurred to me that CC might not even register that it's ever been a challenge for girls or women to be accepted into any field. Which made me happy to think just how far we've come. Stay tuned for more performances from Story Pirates at the Geffen. With their Create-a-Show program, the next one set for Feb. 5, they encourage little ones to actually write the script, which they then perform. CC about to break open her Gingerbread Man Kit. Sometimes I really have to pat myself on the back. Last month -- even before Thanksgiving! -- we were at Trader Joe's, and I had the foresight to buy not only an Advent Calendar but also a Gingerbread Man Kit, both for a song. While I've seen plenty of calendars since my lucky visit, I haven't seen even a crumb of a gingerbread man. Go Mom! 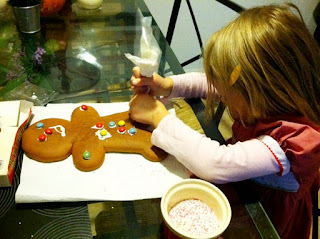 CC had lots of fun spending some time last Saturday afternoon working on her Gingerbread Girl. All of the ingredients were included, and she was able to use her imagination when it came to design. Of course, once she was done, it was all about the eating. Poor Gingerbread Girl didn't have a chance. "I want her head!" CC screamed as she bent poor GG's noggin forward. "I'll bite her toe!" she added. What had I created? (No wonder GG's face looks a bit troubled in the above pic.) Maybe next year, we'll go back to the relatively benign gingerbread house. No bodily injuries can be associated with that one. 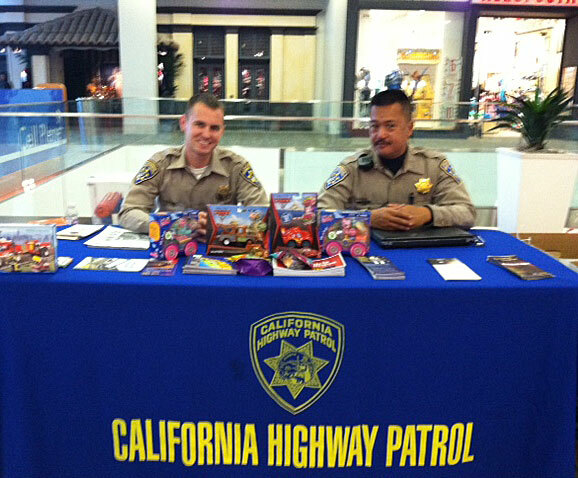 Two CHiP officers accept toys for tots at the mall. What would you do with a gift card for $50, if given to you specifically to give to someone else? I've been thinking about that for almost a week now, ever since Stonyfield sent me a gift card via MomsLA to spread some holiday "sweetitude." You'd think it would be easy, right? But when I started thinking about all of the charities I could donate the money to -- American Indian College Fund, for example -- my head started spinning. And I'm not really great about walking up to people in line and paying for their items. It just seemed too awkward. 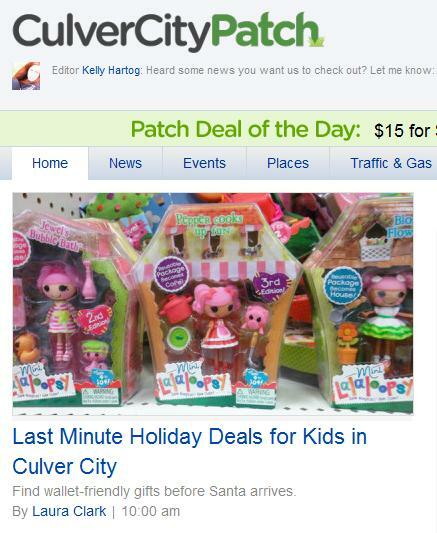 So I decided to buy a bunch of toys and donate them to the California Highway Patrol's CHiPS for Kids Holiday Toy Drive. For more than 20 years, the officers have been donating toys to underprivileged kiddos in the area. It's local. It's for kids. And to think that I could help make a child's Christmas a little brighter is just amazing. If you're interested in donating, too, here's a link to all California Highway Patrol offices. Ian is having disc replacement surgery on his back this afternoon. If you've had this particular problem -- or know anyone who has -- then you know just how frustrating something as simple as sitting down can be. He's had to endure that for several months now, and he finally got the thumbs up for surgery. For me, it's both a relief but also something that makes me nervous. Please keep him in your thoughts and prayers today. Knott's Berry Farm, er, Knott's Merry Farm -- as the theme park is called through Jan. 1 -- hosted a special blogger day, which also happened to be CC's birthday. And not only did CC get the chance to meet Santa and Mrs. Claus, she also got her picture taken with a very special "Peanut," Santa Snoopy. Knott's decks out the park in all things Christmas and wintry over the holidays. From the Christmas Crafts Fair, which offers hand-painted glass and embroidery in the old-fashioned village setting, to Elf Mountain, and a Peanuts' holiday parade, the park is more than ready to bring a winter wonderland to the kiddos. In addition to exploring the park, we rode a few rides and caught a live performance of "The Gift of the Magi," a story about holiday love and sacrifice based on the short story by O. Henry. The play was funny, full of music and short enough to keep children's attention. CC even got a pic with the cast after the show. While we didn't have a chance to check out the parade or the "It's Christmas, Snoopy!" ice-skating show -- it was, after all, CC's birthday, and we had a lot planned for the day -- she did have the opportunity to sip hot chocolate while decorating cookies. Santa and Mrs. Claus joined in the fun, too. CC at Kidspace Children's Museum last year. UPDATE: Congrats to everyone who commented on the post! 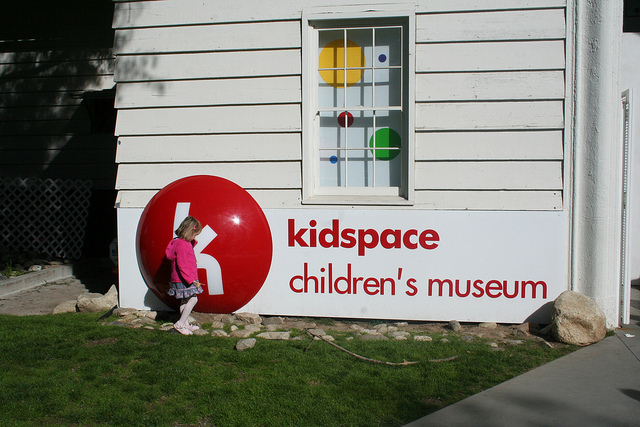 You will be receiving tickets to Kidspace Children's Museum. Just email me at losangelesstory@gmail.com with your address, and I'll have them sent to you. Just after CC turned 1 year old, Ian and I set up a California 529 college savings account for her. We didn't have a ton of money to save, but we did want to have something for her when 2024 (eek, I know!) rolled around. And every month since we started contributing, I've loved watching it grow. ScholarShare, which handles California's 529 plan, is sponsoring a section of Kidspace Children's Museum, that educational adventure-land CC loved last "Noon" Year's Eve. 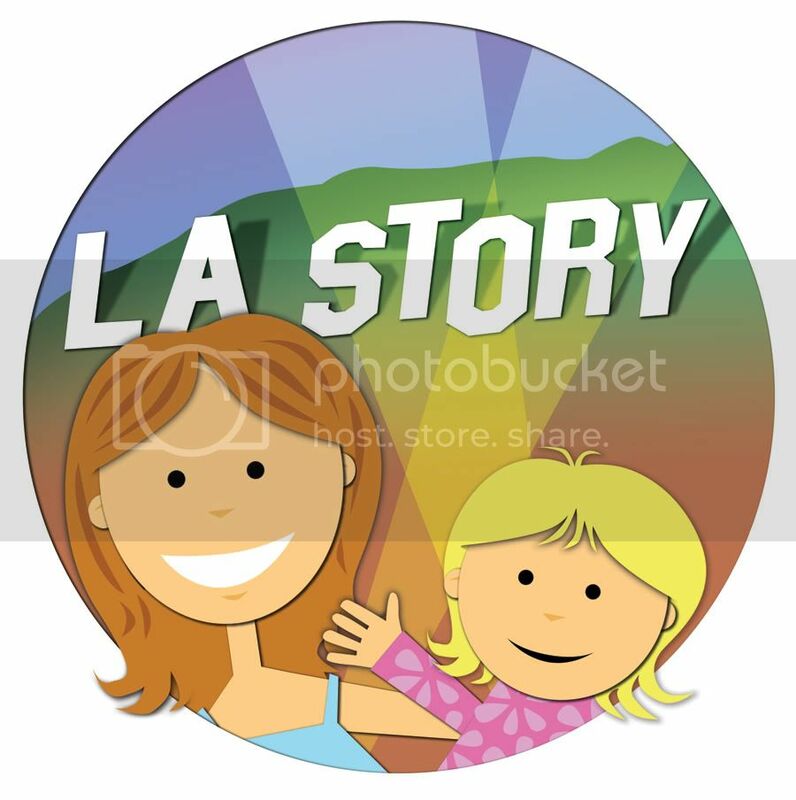 And I'm giving away 5 family four-packs of tickets to L.A. Story readers. 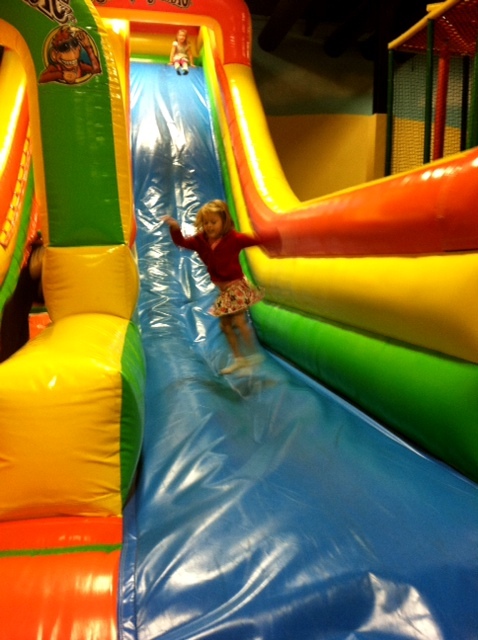 If you haven't been to Kidspace, it really is a wonderland for little ones. They can crawl through little tunnels, pretending they're ants. They can also climb the 40-foot Raindrop Climber (which is totally safe, by the way). Parents and kiddos will also enjoy exploring the outdoor water wheel and grassy paths. 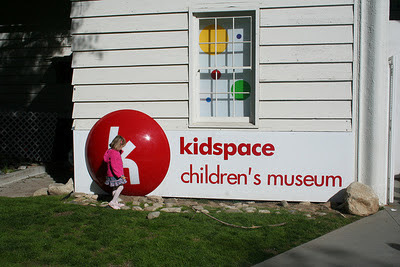 I'm giving away 5 family four-packs of tickets to Kidspace Children's Museum. To enter, just leave a comment below telling me any savings tips you have for you or for your kids. Good luck, and I will announce the 5 winners on this post on Friday, Dec. 16! This contest is sponsored by ScholarShare. * Check out these tech-friendly gloves. * This glitter nail polish would be perfect for holiday parties. * Another reason to love Ikea. 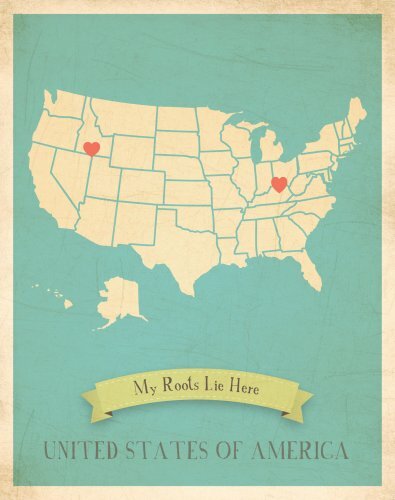 * This would be a fun addition to CC's wall. Santa and his reindeer will be riding (skating?) 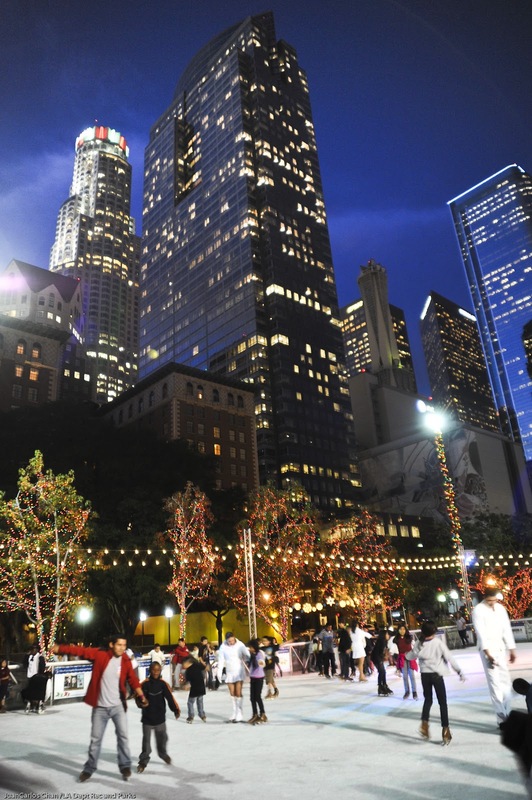 to Pershing Square on Saturday for a free Winter Holiday Festival at Downtown on Ice. 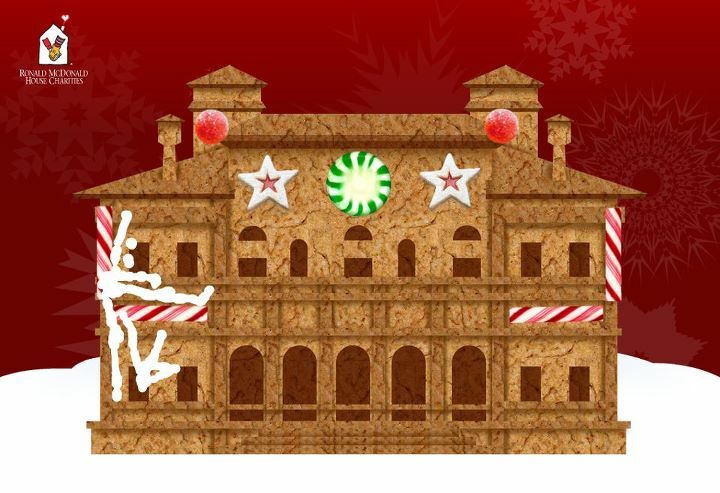 Presented by the Los Angeles Department of Recreation and Parks, the event will feature lots of snow, crafts, puppet shows, a train ride, as well as the jolly old elf himself. While the festival itself is gratis, admission to the outdoor ice-skating rink is $6 per person and $2 for each skate rental. We've never been to the Pershing Square rink, but this definitely sounds like something CC would enjoy! Saturday, Dec. 10; 11 a.m.-7 p.m.
"Alvin and the Chipmunks: Chipwrecked" will be hitting theaters Dec. 16, but I have a special opportunity for readers to catch an advance screening on Saturday, Dec. 10, courtesy of 20th Century Fox. The movie, which CC is looking forward to seeing, stars Jason Lee, David Cross and Jenny Slate, as well as the voices of Justin Long, Matthew Gray Gubler, Jesse McCartney, Amy Poehler, Anna Faris and Christina Applegate. Here's the synopsis, according to a press release: "The vacationing Chipmunks and Chipettes are turning a luxury cruise liner into their personal playground, until they become ‘chipwrecked’ on a remote island. As the ‘Munks and Chipettes scheme to find their way home, they accidentally discover their new turf is not as deserted as it seems." * Visit gofobo.com/RSVP and enter the code LASTB4VG to download your passes. 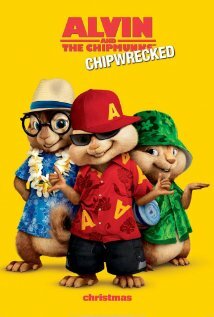 "Alvin and the Chipmunks: Chipwrecked"
Saturday, December 10; 11 a.m.
Let me know what you think of the movie! While I haven't officially started my Christmas shopping yet (eek, I know! 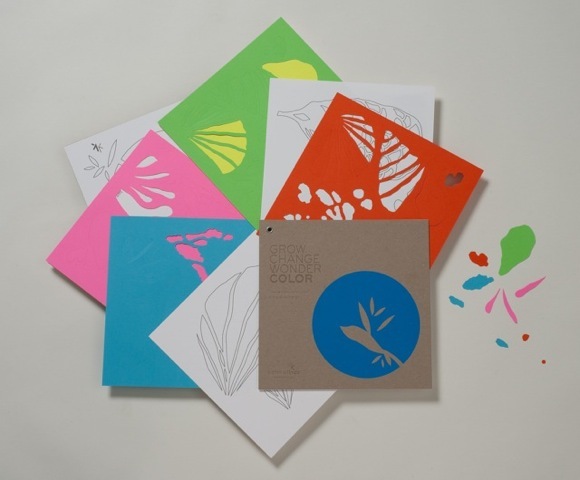 ), I have been scouring gift guides all over the Web. There's even one that I contributed to myself. And this holiday gift guide marries two great themes: parenting and tech. 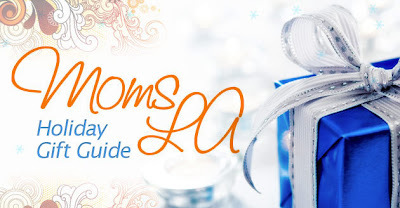 MomsLA, the blogging group that I contribute to, and Tecca (where I've also contributed) teamed up this season to provide a holiday guide that's great for parents who also happen to be tech fans. You'll be able to find gifts for the kiddos, as well as Mom, Dad and tech-savvy G'parents. My contribution -- a Leapfrog LeapPad tablet -- is something that Ian's mom gave to CC for her birthday. And she loves it! The Jazz Tap Ensemble rehearses for the L.A. County Holiday Celebration. 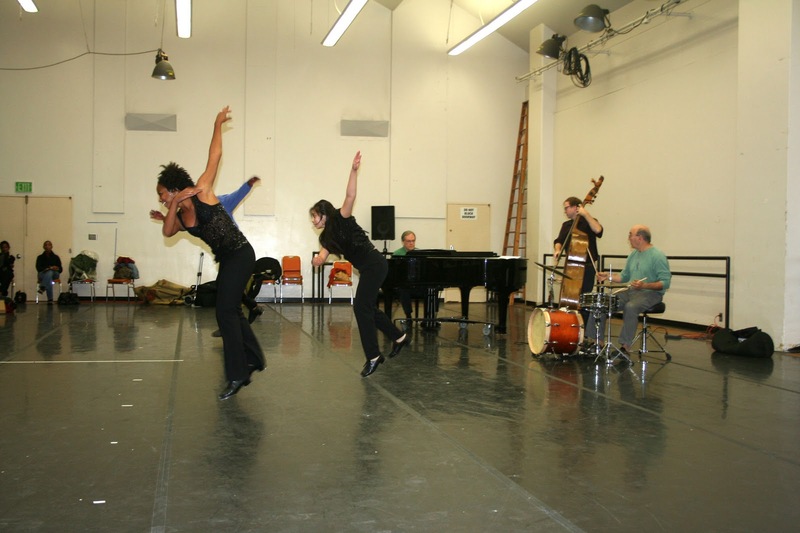 Tap dancers, jazz musicians, a capella groups and more gathered this past weekend at the Music Center downtown to rehearse for the 52nd Annual L.A. County Holiday Celebration. The spirited (and free!) 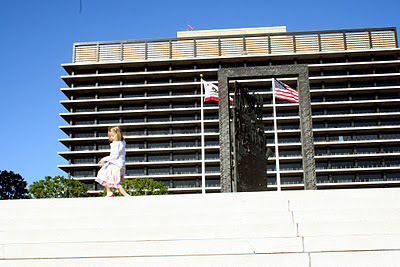 holiday event will once again take place center stage at the Dorothy Chandler Pavilion on Christmas Eve, from 3 p.m.-6 p.m.
CC and I caught a few rehearsals this weekend (as we did last year), and watching these talented artists perform inspired my little one to show off her own smooth moves. CC dancing at the Music Center. 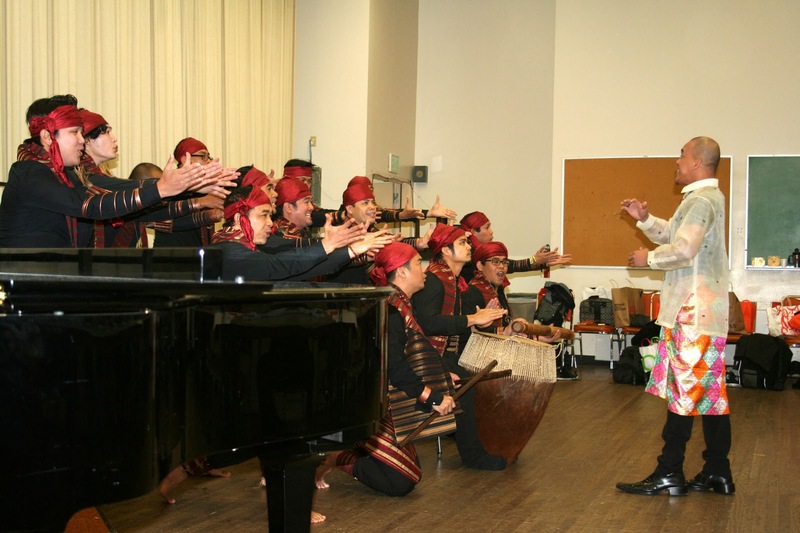 According to the Los Angeles County Board of Supervisors, which sponsors the event, there will be more than 20 choirs, music ensembles and dance companies, all of whom come from local neighborhoods. Traditional Christmas songs sung by the lovely and costumed Charles Dickens Carolers also had CC humming along. Prime Note Ensemble, an all-male Filipino choir, provided gorgeously sung entertainment that CC loved. What's amazing is that all of these groups have only about 20 minutes to rehearse before the big day. But, if you haven't been, the Christmas Eve performance is truly thrilling -- a wonderful L.A. family tradition. If you can't make it in person, the event will be broadcast live on KCET and KPFK-FM and streamed live at www.kcet.org. Tickets: Free. Parking, too, will be gratis. For more information visit HolidayCelebration.org. Happy Birthday, CC! You're 5! CC with her Hello Kitty pinata. Happy birthday, CC! I can't believe you're 5 years old. Although today is your actual birthday, you've had a busy week. You had a wonderful party at preschool, where you and your classmates did a number on your lovely Hello Kitty pinata. 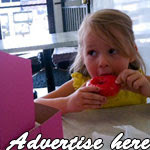 After that, the kiddos, teachers and I indulged in a very pink My Little Pony cupcake cake. Today we're heading to Knott's Berry (er, Merry) Farm before the three of us visit Benihana for dinner. I'm so proud of you, my sweetheart. You are a curious, kind, friendly, whip-smart little girl. And I remember the moment you were born like it was 5 minutes ago rather than 5 years. UPDATE: Congrats to Ruth, who won the 5 DVDs from NCircle Entertainment! Thanks to everyone who participated, and stay tuned for more giveaways. Ho Ho Ho! It's almost time for Christmas. 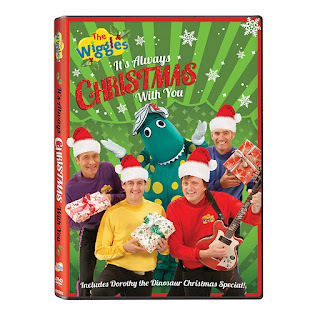 CC and I have been checking out several holiday-themed DVDs, courtesy of preschool-friendly NCircle Entertainment, and I'm offering all 5 of them as a giveaway! But first, let's talk about each of the offerings. CC was so excited when she saw "Chloe's Closet: Chloe's Winter Wonderland" ($8.99) and demanded to watch that one first. Sitting with her little next-door neighbor, CC squealed with laughter as Chloe went on snowy adventures after playing dress-up in her closet. The DVD features four episodes from the PBS Kids series, each with the charming and imaginative girl and her little ducky. Next up was the Aussie television series "The Fairies: Christmas Wishes Fairyland" ($5.99). This winged duo takes preschoolers on a magical journey through their fairy land, where they meet lots of fun characters. Little girls in tutus (some playing violins!) made their way to the winter wonderland, singing a variety Christmas songs. "WordWorld: Happy Holidays WordFriends" ($8.99) is a new DVD from the PBS Kids show that has three holiday-themed episodes and, according to NCircle, one bonus music video, "Dancing Dog." I'm such a fan of this preschool show. I love how each object is created by using letters that spell the word. Very clever! "The Wiggles: It's Always Christmas With You" ($8.99) takes viewers on a journey around the globe to see how other cultures celebrate the holidays. This new DVD is the group's first holiday entry in seven years and features celebrity guests, including 'N Sync's Joey Fatone. 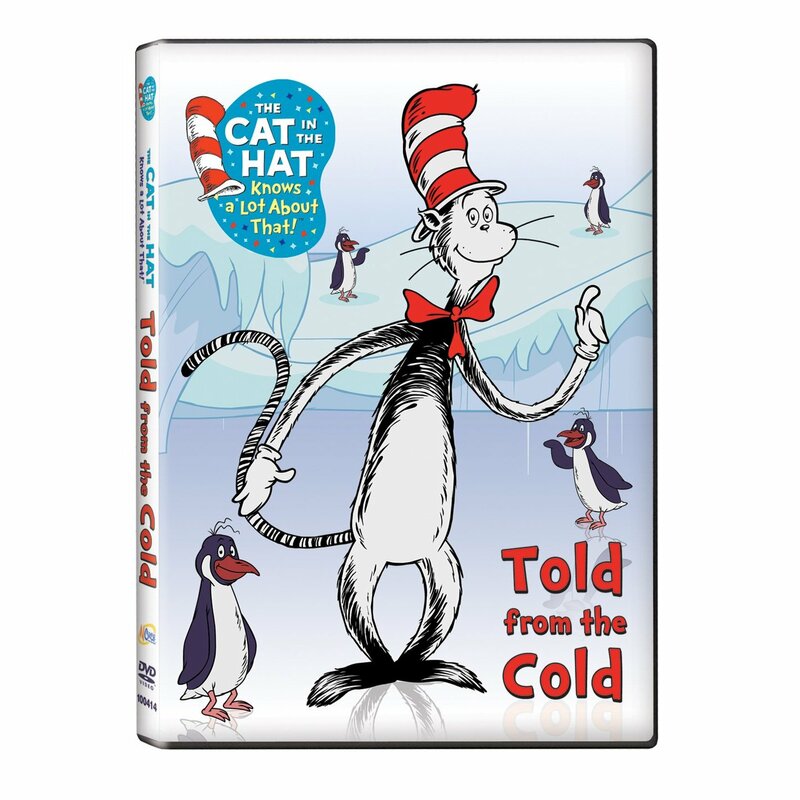 And, finally, we have "The Cat in the Hat Knows a Lot About That: Told From the Cold" ($8.99). This holiday DVD, featuring the voice of Martin Short as that famous feline, offers a few chilly lessons with the onscreen fun. "Discover how water can turn into snow, that penguins don't fly," according to NCircle, and how black bears get ready for hibernation. I'm giving away all 5 of the above NCircle Entertainment DVDs! To enter, please leave a comment telling me your child's favorite preschool show or character. That's why I thought this beautifully simple "My Roots Lie Here" print, complete with 2 heart stickers, from Children Inspire Design is so wonderful. In addition to the USA version, there are also prints of all the (inhabitable) continents, countries and individual states ($40 each). Or, you can just take the whole world for an additional $10. * CC loves Mo Willems' children's book "Knuffle Bunny." Now the writer has a cool app. * The cleanest pet by far. * Yay, working (outside the home) moms! In addition to receiving Advent calendars and holiday toys, CC is also getting the chance to give back to those in need. This morning before preschool, CC and I decorated a gingerbread house (above) for Ronald McDonald House Charities, an organization that gives families with hospitalized children housing and other support. When you make a donation on the website, you can create your own gumdrop-friendly house. RMHC is celebrating The Season of Giving and is hoping to raise $550,000 "to help keep parents and siblings with their sick child this season and beyond." You might remember when CC and I visited the Ronald McDonald House here in Los Angeles two years ago. It made an impression on my little McNugget, and I want her to continue to know how important it is to help other families. As a coincidence, we went to McDonald's yesterday. CC kept her Happy Meal box and said this morning that it was her own Ronald McDonald House. Click here to find out how you can help, too! 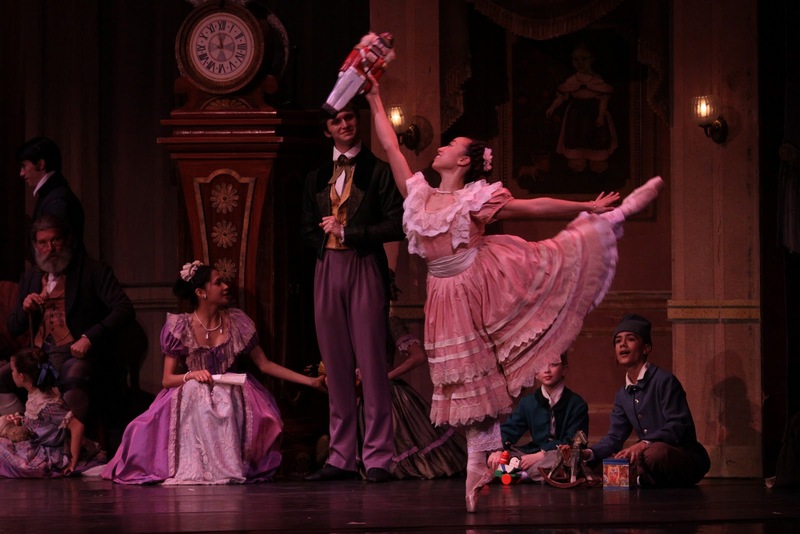 The Joffrey Ballet performs "The Nutcracker." With Christmas time comes "The Nutcracker," that beautiful Tchaikovsky ballet filled with gorgeous costumes, beautiful music and, of course, dancing sweets. The Joffrey Ballet will be performing the famed ballet at the Dorothy Chandler Pavilion beginning today through Dec. 4, as part of the 2011-12 Glorya Kaufman Presents Dance at the Music Center season. Click here for tickets, which range from $34-$125. Happy December! Can't believe it's already here. And speaking of December, today I'm breaking out the Advent calendar for CC. She loves them. How awesome is it to open up a little secret window filled with goodies every day until Christmas? 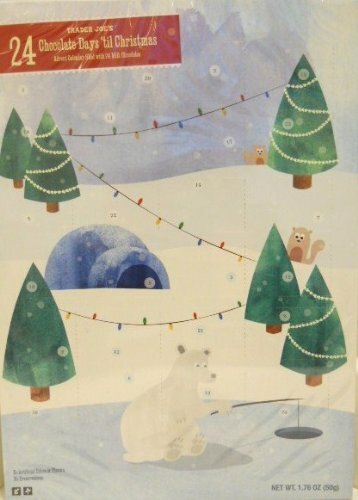 While we opted for a cute polar bear calendar from Trader Joe's, I also wanted to share with you a clever calendar craft I found here (and pictured up top). You can download free printables to make your own Advent calendar. Very cute! Now go and open up that first window!